Our operating base, offices and stores are in Henley. 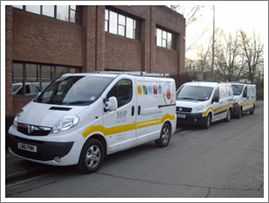 We have a committed and well-qualified staff of plumbing and heating engineers. Their wealth of experience benefits customers and also supports our policy of training apprentices. We believe it is part of our role to help train engineers and technicians for the future. We can do this effectively through knowledge transfer and by offering relevant job experience. Our day-to-day operations are supported by dedicated administrative and technical staff. They keep track of detailed requirements for every job, large and small, and also offer technical advice and information to the industry. Our senior engineers and staff have multi discipline skills which increases the range of work we are qualified to undertake. The company has business links with major brands suppliers and leading distributors. This interaction allows us to assimilate and implement the latest technical developments to our day-to-day routines. In a fast moving world of innovation and regulation we work hard to ensure that we are fully up-to-date with the latest advances in our industry. Typically, the incorporation of high efficiency and energy-saving products and developments together with renewable energy schemes for domestic application , are at the forefront of our thinking.